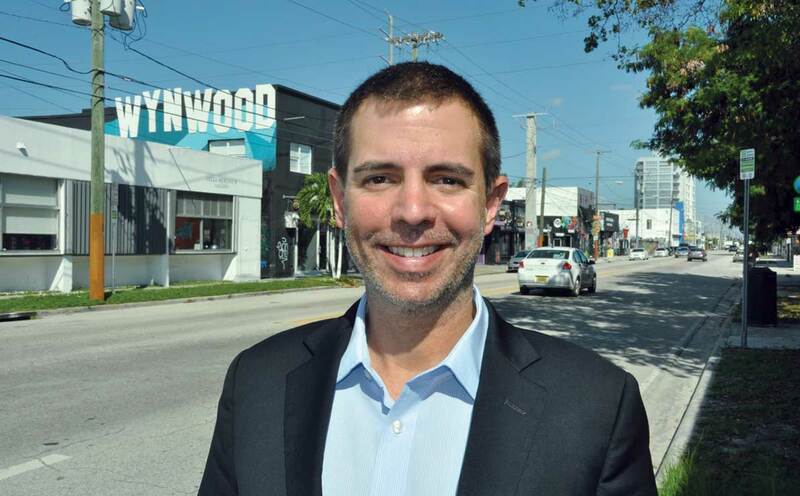 The push continues to expand the Wynwood Business Improvement District (BID) by pushing out the boundaries slightly but also by including more properties that are already within its geographic area. If the drive succeeds, 130 more businesses might join. When the district was founded almost three years ago, owners could vote to tax themselves to be included. Then, it was an unknown quantity, but now it has been hailed as a success. “We feel that this is the time to expand,” Mr. Garcia said. For the expansion to be approved, 51% of proposed new owners must vote in favor of the measure. The Miami City Commission then must amend the district’s enabling ordinance, but that is seen as a formality. A map of properties within the district “is porous, like Swiss cheese,” said board member David Polinsky, who is a principal of 250 Wynwood and a member of the district’s planning committee, when the expansion was proposed earlier this year. The district now comprises 50 square blocks stretching from Northwest 20th to 29th streets, from North Miami Avenue west to Northwest Fifth Avenue. The plan would push the western boundary to Northwest Sixth Avenue and the eastern line to the Florida East Coast Railway tracks, which meander to the northeast diagonally through the district from North Miami Avenue and Northeast Second Avenue. The newly configured BID would include both sides of Northwest 20th and 29th streets. Tom Curitore, BID executive director, has said that his office frequently receives calls for services from property owners and tenants who are not members. “The expansion would allow more efficient service delivery,” Mr. Garcia said. Members of the group have spoken with neighboring business owners and operators who are interested in joining. It’s hoped that a ballot will be drawn up this summer. Like the sign behind Garcia’s head. Never saw it before. Very cool. It’s been there for about 2-3 years. You see it when driving north on N. Miami Ave.at 23 street. Its been very exciting to watch and experience the expansion of Wynwood. It is certainly another piece to our beautiful South Florida and Miami culture. At Premier Web Management, we have observed a large increase in the digital content being produced out of Wynwood. PlusUrbia has created Neighborhood Revitalization District guidelines and regulations that have spurred hundreds of millions of dollars of investment in Wynwood — before the rules have even been fully adopted by the City of Miami. Hope this emerging Miami firm gets to apply its urban interventions on other areas in transition such as Little Havana, Little Haiti, Allapattah and central Grove.